We love Twitter, and the network-building interactions it can drive. When a small business leverages this strong tool it can move mountains. Perfect that was 140 characters. The only problem with that possible Twitter message is that it didn’t offer any call to actions or interactions with its verbiage. It didn’t use an attention-getting hash tag or a community-building @replywhich in our opinion doesn’t make it a winning Tweet. Consider this our first lesson of Twitter 101, to drive interaction and build your community. Twitter can, at time, be a podium. But shouting your message out into vast cyber space won’t get you very far. The people and companies who are extremely successful, like GM, Jet Blue, Marriot and Starbucks, use Twitter for its most successful outlets: customer service, customer feedback, promotions, highlighting their brand advocates, promote events and engaging powerful leaders. Twitter isn’t just a podiumit is also a listening platform. Listening to your customers gives them a voice, while illustrating to other customers (and potentials) how they will be treated in the event of them being unsatisfied with your company. Customer service should never replace customer feedbackbecause you’ll learn more from your average customer than your ultra-happy or ultra-angry ones. Always listen with Twitter and engage your users for their overall opinions on your company, brand and services. Don’t use your Twitter account(s) solely for customer servicealso offer your followers, and potential followers, discounts, promotions and contests that will encourage interaction. These types of events both build and sustain your audience (and give them a reason to actually, actively follow your Twitter). Your biggest fans are your biggest advocates. They will promote you better than even a paid actor could, so use Twitter to drive interaction by highlighting your biggest fans. Not only will they appreciate it, other fans will want the attention and will vie for your attention. Big brands use Twitter not just for online event promotion like contests but also alongside physical events. You knowevents that happen in real life, away from the computer. So, use Twitter alongside your next big business event. The smartest and most effective businesses engage industry leaders and Twitter-ers with large followings in their verticalbecause these users have more reach and power than can even be bought. So, align yourself with Twitter leaders in your industry. Using the above 7 methods to interact with your public on Twitter will turn your podium into two-way radio. It will help you grow your Twitter and will encourage the interaction that is utterly critical with social media marketing. 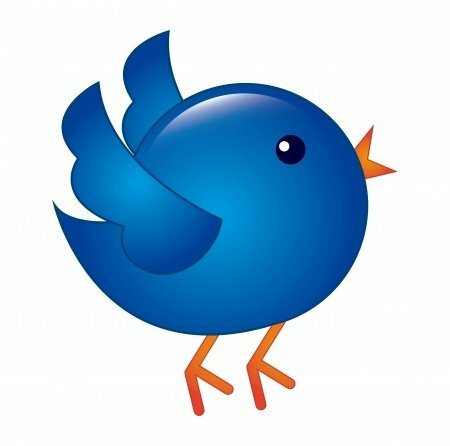 Curious about more ways you can boost our Twitter, Facebook, Email or other online marketing? Just ask us or follow our Twitter…or blog…or Facebook. This entry was posted in Social Media and tagged At Reply,Engagement,Online Marketing,Social Media,Tweeting,Tweets,Twitter on September 17, 2013 by ReferLinks Online Marketing.